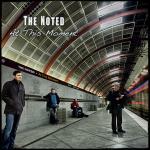 13 new recordings featuring Grammy winner Doug Smith on "Take Time", co-written songs with Top Ten hit songwriter Marv Ross, and a re-make of Only Wanna Be With You. Enjoy! 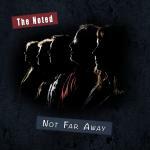 The Noted's newest CD, 'Not Far Away' has 8 new recordings featuring Him & Her vocals, a great rock band, and music that is comfortably unpredictable. We hope you'll enjoy our music, and think you will.